Newer: » It’s official: Courtney and Mark tied the knot! I own a property with a small house in north Ambergris Caye. I am distressed to hear that five story buildings are to be permitted on our island. The solution to people overbuilding on their lots is to have strict building codes that would allow a building’s footprint to cover only a specified percentage of the property, not to allow them to build up. The result of the latter is they will do both i.e. build a five story building that covers the entire property. Ambergris Caye is a fragile environment that cannot handle overpopulation. Already the pollution from septic systems is beginning to pose a threat not only to human health, but to the coral and marine life. We have no good source of fresh water other than rainwater. Rainwater collection is what many existing houses outside San Pedro use, and this could not support a five story building. Plans have been discussed for a desalination plant and sewage system in north Ambergris Coye, but desalination consumes a huge amount of energy which would increase our reliance on oil and cause air pollution. In addition, the brine and chemicals produced by the desalination would have to be disposed of. The current plan is to build deep injection wells. As I understand it, this is also the planned method for sewage disposal in the proposed sewage system in the north. The consequences of this technology need to be studied carefully before proceeding. It involves injecting pollutants deep into the earth’s core. There have been reports in a number of different areas in the United States showing that wells drilled to bury this waste deep beneath the ground have repeatedly leaked, sending dangerous chemicals and waste gurgling to the surface. In addition, these types of deep injection wells have been linked to earthquakes in Texas, Arkansas and Ohio where they are extensively used as part of the fracking process. If anyone is interested I would be happy to share published reports about all of this. I urge elected officials to look at the consequences before permitting higher buildings and greater population density. In addition to the environmental cost, tall buildings are antithetical to the island vibe that is so attractive to both tourists and all who live here. We don’t want another Cancun on Ambergris Caye! 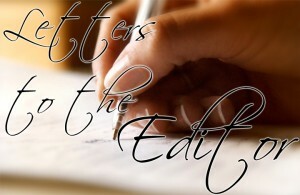 Letter to the Editor: Public Transportation System with privately owned and operated small electric buses!! Letter to the Editor: Public Transportation System Needed!